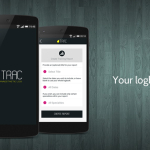 Earlier today, we announced the release of Trac, our new anaesthetic logbook app for Android™. 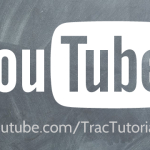 Over the next few weeks, we’ll be releasing a number of tutorials showing you how to get started entering records. Check out the first in the series above. I am a Consutant and practice pre-hospital care, Intensive Care and Retrieval. Would be nice to have modules for those areas of anaesthetic practice. Can d.o.b for patient be a selection field? Can age be calculated automatically for that? Supervision should have a None or Not applicable option for SAS and Consultants. Thanks for the feedback! I’m ICU and created the app for the very same reason – that most other logbooks are very theatre-oriented and not that flexible when it comes to subspecialties. Included in the next release will be further tools for clinicians like yourself who do perform slightly more unusual roles and need custom data – hopefully it will prove useful. Since this video was created, the DOB field automatically populates the age, but I agree it should be a date select field. Supervision now has the option to select ‘solo’.